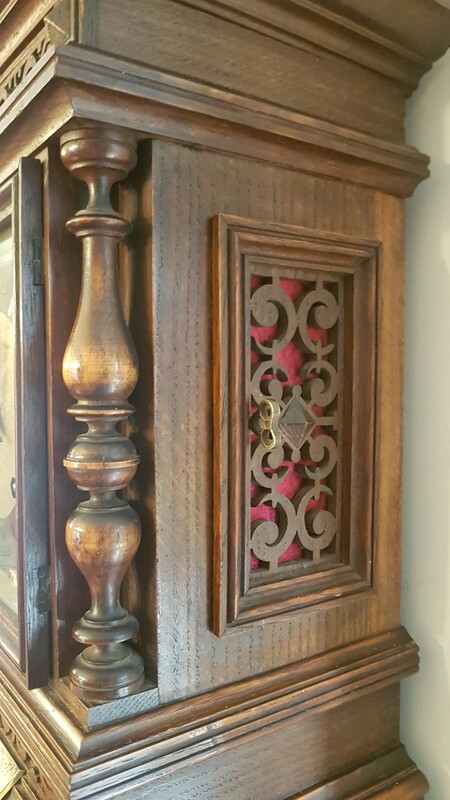 The carved oak case is in a good condition, comprising of twin fretwork side doors, a front glazed door, and rear door lined with fabric. 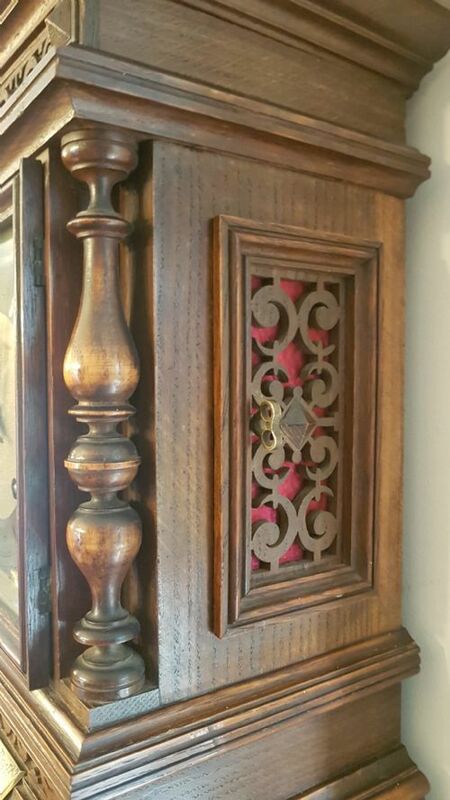 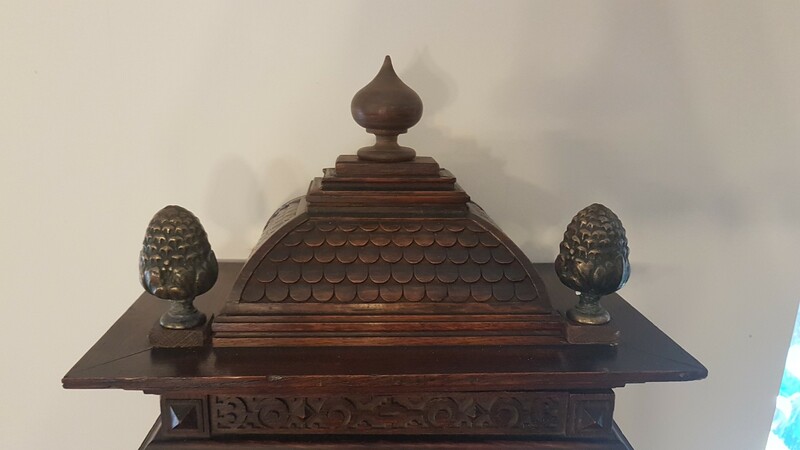 Adorned with numerous carved sections, recessed columns, four turned feet, bronze finials with a scaled caddy top. The movement is an eight-day twin hammer strike, two gongs are struck each quarter, gradually increasing to a strike with the hours. 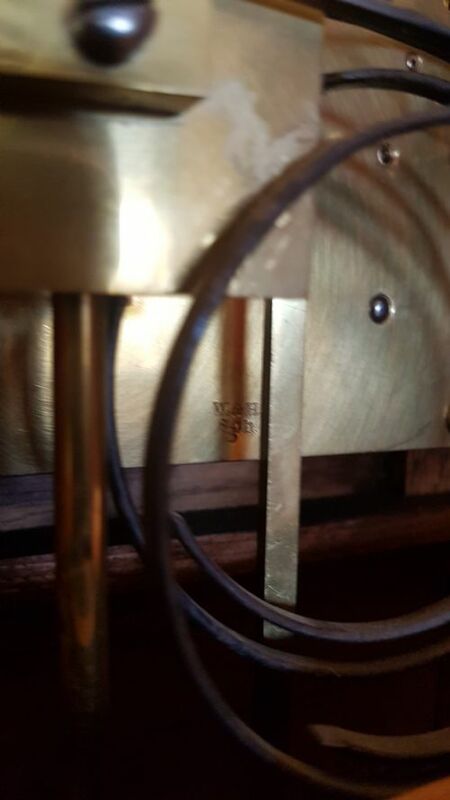 A clean movement, just serviced and working fine. 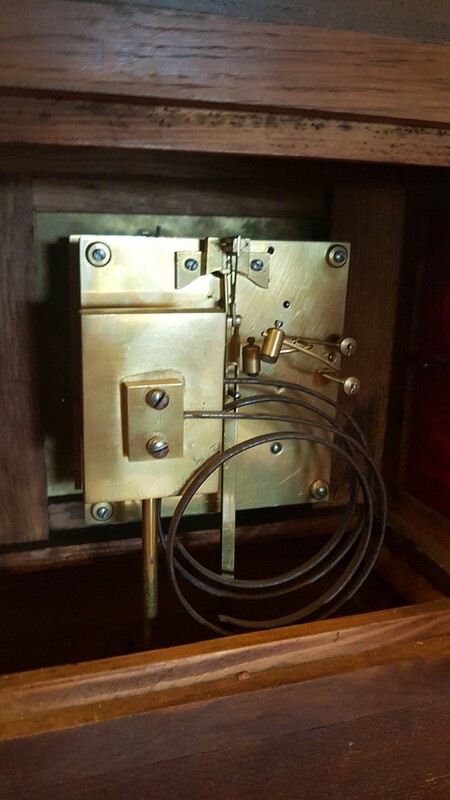 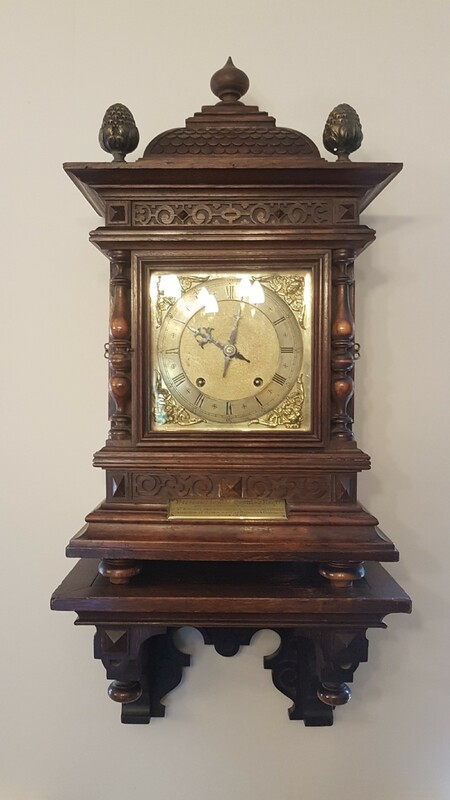 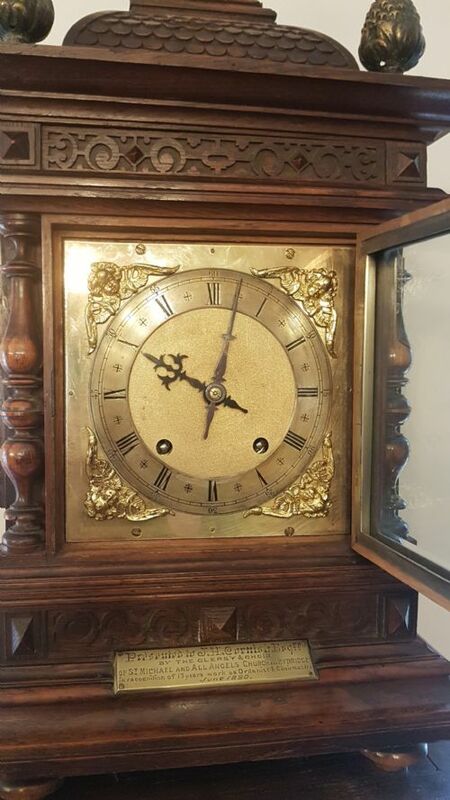 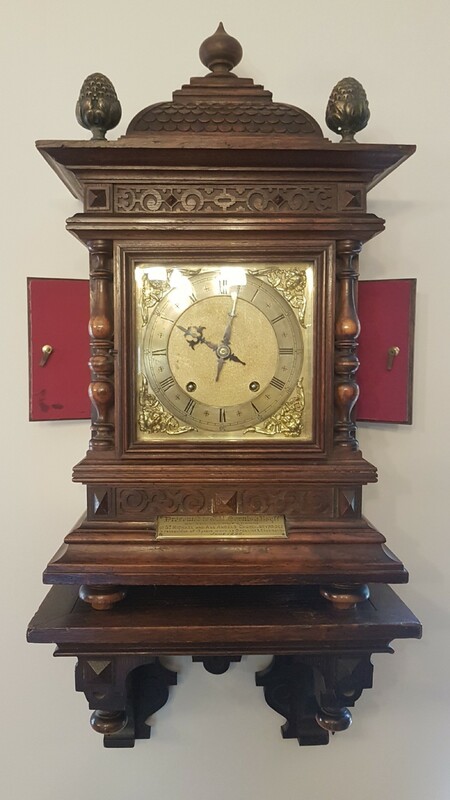 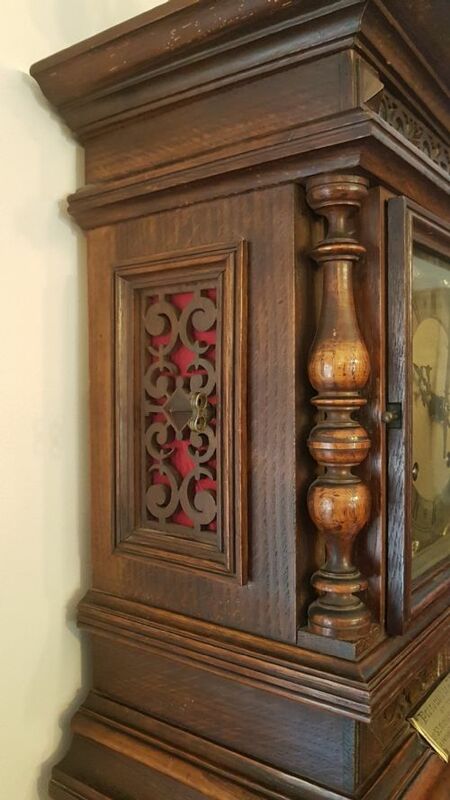 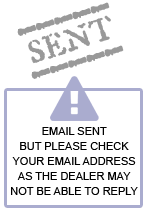 The An impressive oak striking bracket clock by Winterhalder and Hoffmeier circa 1880 has been added to your saved items.